His girlfriend Kylie Jenner announced the arrival of their newborn daughter Stormi earlier this month. And Travis Scott is said to be a changed man since welcoming his first child, with TMZ reporting that he has 'been on cloud nine' since becoming a dad. Kylie and Travis' birth announcement was made just three hours before the NFL Super Bowl Sunday in an Instagram post followed by an 11-and-a-half minute video documenting her pregnancy journey. 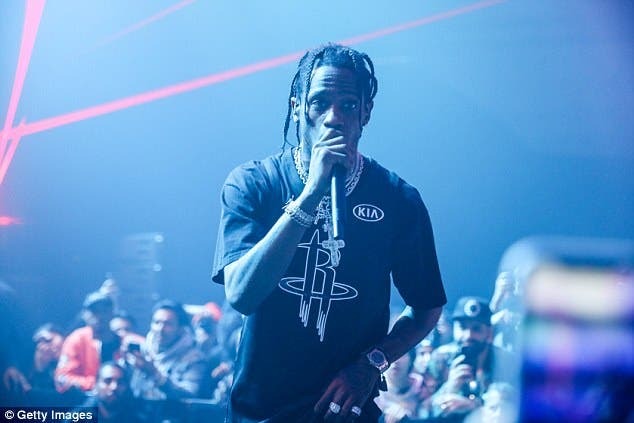 And Travis reportedly can't be happier, with sources telling the online publication: 'He has been on cloud nine since his first child's birth. Friends have noticed the normally stoic guy is now laughing a lot, and much calmer than usual. 'Only serious cash will pry him away from his baby girl,' the source continued on his newfound professional and personal lease on life. Last week People magazine reported that Kylie and Travis are doing fine, but are not living together. The Keeping Up With The Kardashians star resides in her roomy Hidden Hills, California mansion while the Texas-born rapper is believed to have a residence 45-minutes away in the Hollywood Hills. 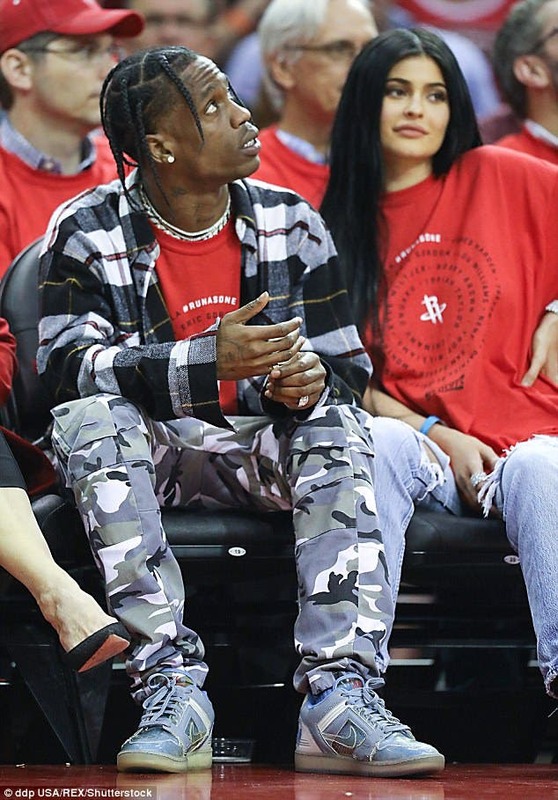 'Kylie and Travis are not officially living together. He has his own place. They are co-parenting though, and things are going great. They are together and happy,' a source told the publication. The insider also said he is 'sweet' with the little child and he knows how to treat the makeup mogul. 'He's very protective of Kylie, and his family embraced her, too,' said the source. 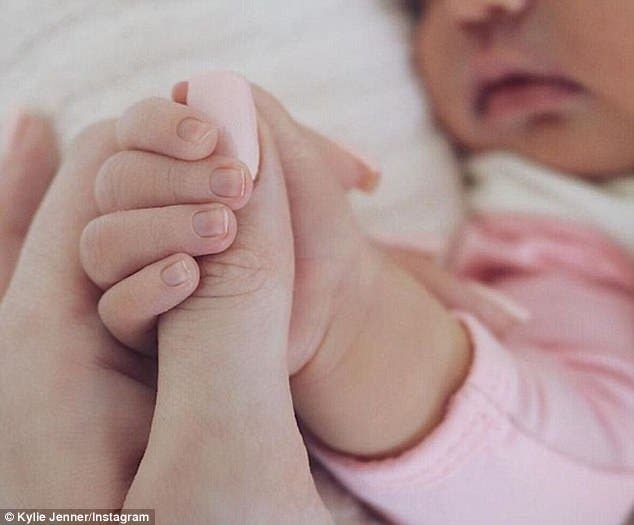 Meanwhile, it has also been reported that Kylie has hired a baby nurse to help with newborn daughter Stormi while continuing to rely on momager Kris Jenner for assistance. The reality star prior to her baby's birth reportedly was anxious about hiring outside help. 'At first, she only wants [Kris] and her sisters to help with the baby. She is worried about new people around the baby,' a source told People late last month. The makeup mogul apparently had a change of heart as Us Weekly reported on Monday that she hired a baby nurse. The 62-year-old family matriarch also has been helping the youngest of her six children. 'Kris has been spending a lot of time at Kylie's house since she came home with Stormi,' an insider told Us Weekly. 'Kylie has been a natural at being a mother. However, it has been overwhelming, and Kylie has relied on Kris during these first days at home with Stormi,' the source added.